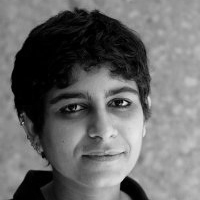 Zuleikha Chaudhari is a theatre director and lighting designer. Her work is an investigation of the structure and codes of performance. It explores and develops a series of questions to do with the interruption of the narrative structure, how images are constructed and experienced: the relationship of the text and performer, the dynamic between performer and space, how narratives are created and understood, and finally, the role of the spectator in the performative experience. Her practice has developed over the past years into working with light structures/installations as explorations of space. She is interested in the nature of experience. Her installations engage with the question of how we experience and how the experience of experiencing can be created and communicated. Her installations are as much about an external landscapes as they are about internal geographies. They are as much about real spaces as they are about imagined/unreal ones. Commissioned for the DELHI IBSEN FESTIVAL, 2009. She is the Recipient of the Sangeet Natak Academy (National Award) YUVA PURUSKAR, 2007, the Charles Wallace India Trust Award, 2001/2002, the Rotary Club Youth Excellence Award for Theatre, 1999.